THE CIRCLE MARCH 2014 // SPRING FAVORITES. It's a new month and that means a new topic for The Circle! If you're new to this link-up, it's a chance to not only share a part of you, but to get to know others, too. 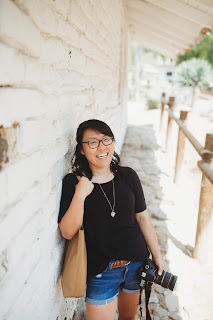 Friendship in this blogging community is something near and dear to my heart and it's my hope that everyone gets to be a part of it in some way or another. Hey! I'm Meg from Me with the Three. I spend most of my days hanging out with two crazy cute little dudes, and I get to spend the rest of my life with my BFF, aka The Hubs. I love photography, so you'll find lots of that, crafting, faith, and family stuff all over at my space. It's kind of my only "girl" spot in the midst of all the testosterone around me! I'm so excited to co-host The Circle with Kiki this month! I love my "friend I've never met in real life!" Thanks Kiki!" This month, we're focusing on the season that is just around the corner. 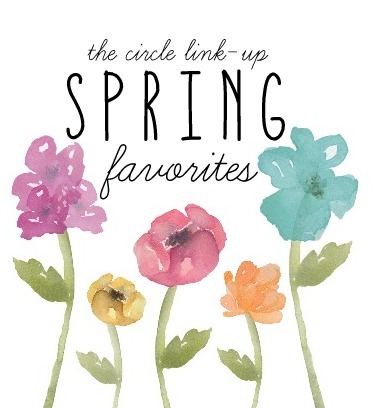 And while it may not look like spring where you live, that doesn't mean we can't share a few of our springtime favorites! So here's to springtime, to making new friends, and joining in The Circle! Feel free to answer one or all of these questions, or maybe even include one of your own in your post! Spring is kind of bipolar, for lack of a better word. Even though it's not technically spring, we've had some sunny days and then we've also had our fair share of PNW rain and grey, cloudy weather. But to give you one answer, I'd say spring is definitely an April showers kind of climate in my neck of the woods! What's your favorite springtime accessory? I'd have to say my favorite springtime accessory are cute flats, rainboots, and floral/spring-y scarves. When the ground is dry, I'll pair my normal jeans + a sweater outfit with a cute pair of flats, but when it's raining, I'll slide into my rainboots to avoid wet jeans and socks. I also love floral patterns and spring-y scarves and am hoping to add some more to my closet this upcoming season! 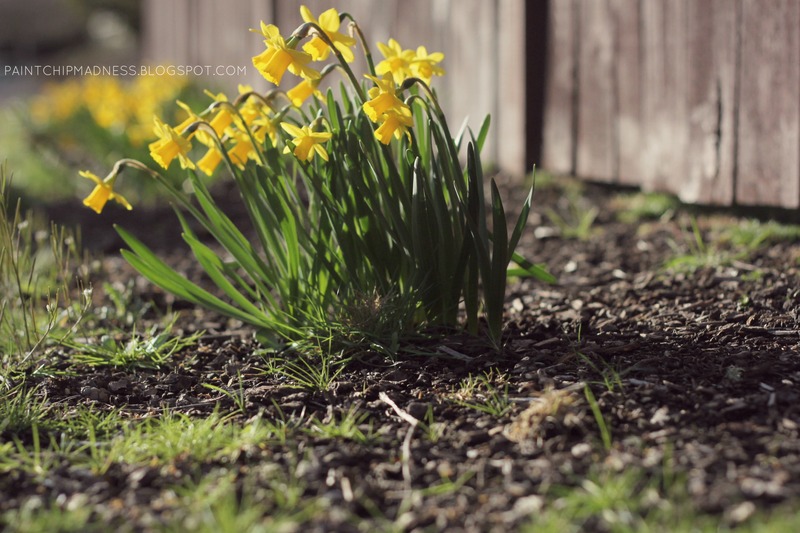 Do you have any springtime traditions? Not really, to be honest. I used to hate Spring because it meant bees (I haven't ever been stung by a bee, however, so don't ask), but nowadays, I look forward to the flowers blooming and blue skies and sunshine, too. Not to mention the chance to get a little sun on my skin! I think I'd have to pick Easter. No offense or anything, but how could you choose April Fool's Day over a holiday celebrating Jesus' sacrifice, God's great love for us, and our eternal life? Yep, Easter it is. By far, taking photos of flowers and seeing colors all around me. The grass turns greener, the leaves open up, the flowers bloom, and people just seem a little cheerier. There's something about the change in seasons that really make me realize the beauty that's around me. And here's bonus challenge for you over-achievers: find and capture your favorite sign of spring and tell us about the photo! These photos were taken in my neighborhood. Every spring these little daffodils spring up and blossom and while they always like to face the sidewalk (making them so incredibly difficult to photograph! 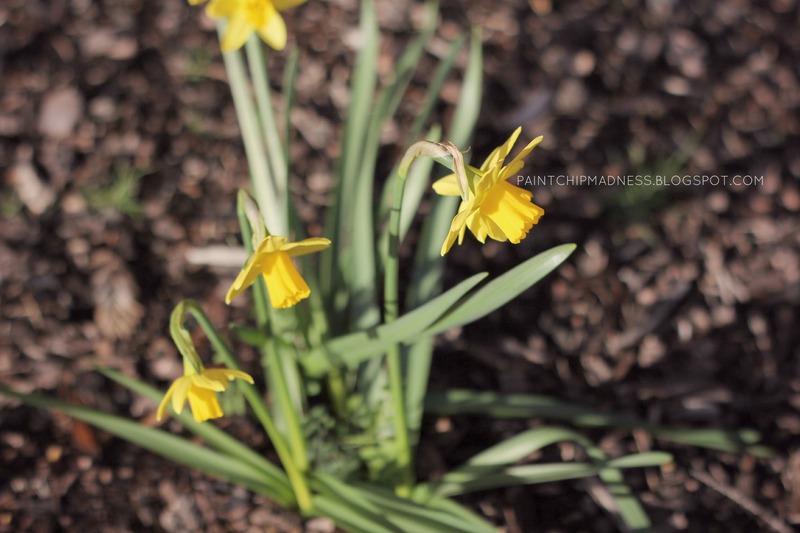 ), they're one of the first signs of spring where I live and they're so very, very cheery. So take some photos, copy/paste these questions and link-up and tell us your what your favorites are! Oh, and if you're social media savvy, grab a button and feel free to use the hashtag #thecirclelinkup, too! You know I love these link-ups! I'm soooo ready for spring, can't believe it's already here! Aw, yay!!! I'm so glad you like them! Sometimes I worry that people don't like them or anything. So I'm glad you do! Can I just say that I LOVE this link-up and I always look forward to it each month! :) Can't wait to do this post and I already have it written down in my blog schedule/planner (yeah, I have one of those now ha!)!! Excited to link up! 100% agree with your favorite springtime treat. Those cadbury eggs are the reason I will gain about 50 pounds around Easter! I can literally eat them by the handful! Ooh, a new blog?! How exciting! As for linking up, you still have time and I tend to post The Circle for the second Wednesday (or mid-month and mid-week) of each month if that helps! And as for chocolate, I totally understand how that wouldn't fit into a healthy plan. I know how hard those plans are and wish you luck!! LOVE Cadbury Mini Chocolate Eggs. Ahhh, somehow I missed this post! I've been waiting anxiously for the new link up :) I'm off to write my post! Yay! I love that your favorite spring holiday is Easter--mine too! Well, I'm glad you spotted it nonetheless! :) I am so grateful that you like this link-up of mine and are going to participate, too. I cannot wait to read your post! A bit late, but just done writing mine. I like your fav things to do which is "seeing colors all around me".